Tyson Properties is a leading real estate agency and award-winning brand that has grown from a single office with a staff of just six to a national operation with almost 400 agents and 23 offices over 12 years. The company is known for its effectiveness, pioneering approach to doing business and sound business principles. Through the application of its mission - 'Communication achieves results ... let's talk' - Tyson Properties has built up a strong network of business associates, an extensive referral base and a reputation for professionalism and integrity that makes it the brand of choice for property investors in the province. Managing Director Chris Tyson is hands-on and active within the market place, enabling him to keep abreast of trends in the sector. He combines extensive experience with a unique entrepreneurial flair. 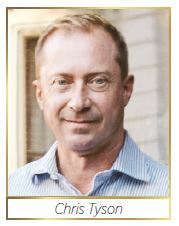 He set up Tyson Properties in August 2005 alongside his business partner, Gavin Cunningham. His vision was to create a specialist agency that was not only in tune with the needs of the KwaZulu-Natal property market but one that offered clients exceptional service and agents a platform to excel. To attract the best property professionals, he has provided a happy and professional working environment, together with training, resources and innovative operational systems. "Our focus has always been on quality service and working together to achieve a winning solution," says Tyson. Every year, Tyson Properties has exceeded its forecasts, grown its footprint and increased its market share. In addition to marketing residential, commercial and rental properties, Tyson Properties has expanded its service offering to include a property management division that specialises in the administration of exclusive properties and sectional title developments. 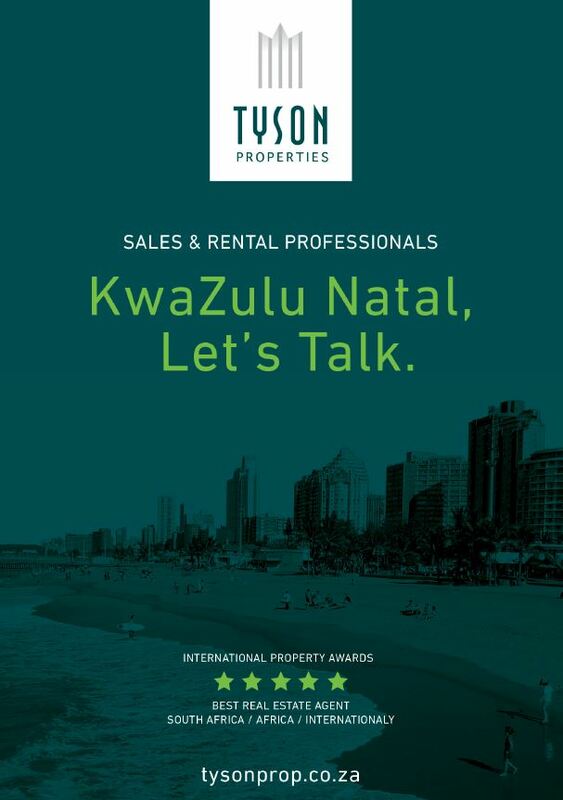 Tyson Properties has been recognised in the "Best Real Estate Agency in South Africa" category at the International Property Awards Africa from 2009 to 2013. It is the only South African company to receive two awards in this category. In 2016, one of its agents was chosen as the Best Real Estate Agent, South Africa, Africa and Internationally. Going forward, Tyson expects Tyson Properties to continue as a leader in the provincial property sector. "We're not just an estate agency, we are redefining our industry. We embrace change and continually challenge tradition. We do business differently, giving our clients the winning edge. Our vision is to cement our reputation as an exclusive agency that represents quality service, honesty and integrity. We want to grow our business by partnering with the right people who will live our brand. To be known not as the biggest, but as the best," he says. Tyson Properties - Sweets and shoeboxes!